Aaron Ellison is the Senior Research Fellow in Ecology at, and Deputy Director of, the Harvard Forest, an Adjunct Research Professor in the Tropical Forests & People Research Centre at the University of the Sunshine Coast (Australia), an Adjunct Research Professor in the Department of Biology at the University of Massachusetts at Amherst, and a semi-professional photographer, writer, and creative artist. He received his B.A. in East Asian Philosophy from Yale University in 1982 and his Ph.D. in Evolutionary Ecology from Brown University in 1986. After post-doctoral positions at Cornell and with the Organization for Tropical Studies in Costa Rica, Aaron taught for a year at Swarthmore College before moving to Mount Holyoke College in 1990. There, he was the Marjorie Fisher Assistant, Associate, and Full Professor of Environmental Studies, founding director of Mount Holyoke’s Center for Environmental Literacy, and then Associate Dean for Science, and he taught biology, environmental studies, and statistics until 2001. In 1992, Aaron received the National Science Foundation's Presidential Faculty Fellow award for "demonstrated excellence and continued promise both in scientific and engineering research and in teaching future generations of students to extend and apply human knowledge." Following a sabbatical year at Harvard in 2001-2002, Aaron assumed his current position at the Harvard Forest – Harvard’s 1500-hectare outdoor classroom and laboratory for ecological research. Aaron studies food web dynamics and community ecology of wetlands and forests, evolutionary ecology of carnivorous plants, the response of plants and ants to global climate change, the application of Bayesian statistical inference to ecological research and environmental decision-making, and the critical reaction of Ecology to Modernism. He has authored or co-authored over 200 scientific papers, dozens of book reviews and software reviews, and the books A Primer of Ecological Statistics (2004; 2nd edition 2012), A Field Guide to the Ants of New England (2012), Stepping in the Same River Twice: Replication in Biological Research (2017), Vanishing Point (2017), and Carnivorous Plants: Physiology, Ecology, and Evolution (2018)﻿. From 2009-2015, Aaron was the Editor-in-Chief of Ecological Monographs, and he is currently a Senior Editor of Methods in Ecology and Evolution. 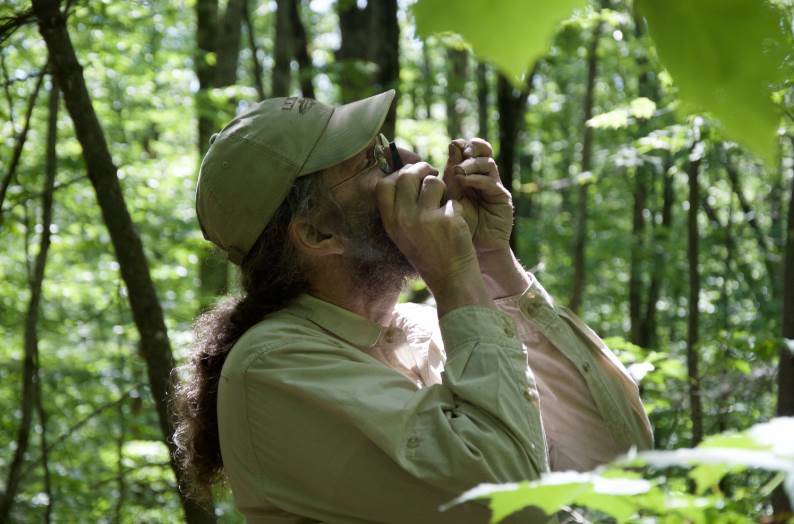 In 2012 he was elected a Fellow of the Ecological Society of America, and in 2018 he was certified as a Senior Ecologist by the Ecological Society of America. He lives in Boston, Massachusetts. Follow Aaron on Twitter, keep up with him on his occasional blog, or check out his author's page on Amazon.